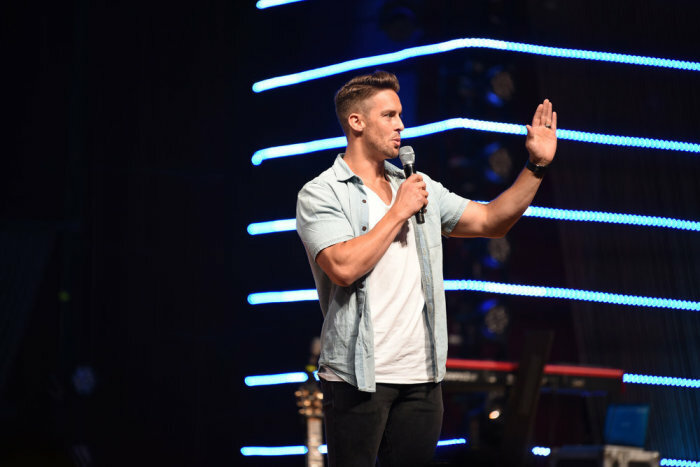 A week after his surprise resignation from the now defunct Resonate Church he founded with his late wife, Amanda, Indiana Pastor Davey Blackburn said he knew the church was going to close before his resignation but he didn't reveal that to the congregants. Blackburn revealed in a post on his blog shortly after The Christian Post asked him about how the closure was handled that he was “heartbroken” about the church having to shut down and took responsibility for it. “When Amanda and I launched out eight years ago with a vision and a dream to build a life-giving church in Indianapolis, we certainly did not think that eight years into the journey Resonate would no longer be in existence,” he wrote. “As the leader of Resonate for the past eight years, I take responsibility for the organization not being in a place where it could continue forward beyond our departure. If I was given the opportunity to start the church all over again there are many leadership decisions I would make differently,” he said. John Berry, who took over as interim pastor for Resonate Church after Blackburn’s resignation, told CP that the church was closed because they could not find a successor. He also noted that poor stewardship of church finances and dwindling membership also contributed to the death of the ministry. It was only a year ago that Berry, who formerly pastored at Liberty Baptist Church in Spring Lake, North Carolina, told friends and family on Facebook that he was moving to Indiana to be God’s answer to Blackburn’s prayers. “Many of you have heard our family is moving to Indianapolis this week. Some have asked why? Some have asked, 'Why would you move to Indiana where it’s so cold? Where you’re so far away from family? Where you’ve never been before?' Here’s why! Take some time and listen to why we are trusting God in this,” Berry said in January 2018. “About two years ago Pepper (Berry’s wife) and I began praying he would use our family to make a difference in His kingdom on Earth no matter where we are. We positioned ourselves with open hands, knowing this could be life changing but hoping it wouldn’t mean we had to leave. Then God. Then God heard the prayers of a pastor in Indianapolis and began making a way for the Berry’s to be the answer." But staying at Resonate Church, Blackburn said, was not God’s will for his life. “It’s with a heavy heart, a nervous apprehension, a trusting spirit, and yet an excited anticipation for the future that I must announce that Kristi and I are stepping away as the leaders of Resonate Church. We are doing this in order to answer a call God has placed on our lives to help people from all over the world find purpose in their pain through Nothing is Wasted,” he revealed in his resignation message to the congregation where he named Berry as the interim pastor. “If you consider Resonate Church your home church and you’re wondering what’s next for Resonate as an organization, I would urge you to attend next week. John Berry, the interim lead pastor, will be sharing what the future will look like for Resonate Church and the spiritual community there,” he added without any discussion about the sustainability of the church. A dissolution plan presented to the church by Berry showed that a week after Blackburn resigned the church had liabilities of $73,817.97 and cash totaling $38,154.48. To offset the deficit of $35,663.97 the church said the worship, production, and other valuable equipment owned by the ministry would be sold. Any funds remaining from the sale was expected to be donated to a church or nonprofit that is yet to be determined. In his latest statement on the closure Blackburn admitted that he knew the church would have to be shut down but didn't respond to questions from CP about whether he had personally discussed this with the church’s membership. Reports from persons present at the dissolution meeting said members were shocked and angry to learn that the church was being closed. “The reality that Resonate Church would not be able to move forward in ministry was discussed by this (church’s) team and everyone agreed we would labor to finish well the good work that was started. This meant making relational, pastoral, and financial decisions to (1) take care of any of Resonate’s outstanding balances, (2) take care of the remaining staff families — the Berrys and the Shilts specifically — by providing a generous severance so that these families can transition into their next season of life and ministry, and (3) take care of the people of Resonate by pointing them to other congregations they can worship with, serve in, give to, and join in small groups,” Blackburn wrote. Barely a week after Blackburn’s claim about taking care of his staff and former congregants, Pepper Berry, John Berry’s wife, revealed on Instagram Wednesday that her family was in dire straits. “Currently we have no job (and no that WAS NOT our choice — don’t believe everything you hear). We have no idea what’s next for our family of six, no back up plan, no next destination, no home. Who would choose that for their family of six? No one. We also have a car that now has engine problems and a tremendous amount of unknowns,” Pepper Berry wrote. “We have kids who are frustrated and angry about why we are moving and we have zero explanations that make any sense. Nothing — I repeat nothing — is clear,” she continued. Despite her family’s struggles however, Pepper Berry said she was trusting in God to see her family through. Pastor Berry did not respond to questions from CP on whether he was informed by Blackburn when he was hired in 2018, that he had planned on following God’s call elsewhere. “I know the buttoning up process of any organization is not easy and I’m thankful to the Berry's (sic) and Shilts for leaning into these arduous details. Both John Berry and Emily Shilts are very capable of carrying out the remainder of the process well. Kristi and I are grateful that this new season of ministry allows our family to remain in Indianapolis and continue doing ministry with many of the folks who once called Resonate Church their home,” Blackburn wrote. Blackburn and his late wife, Amanda Blackburn, moved to Indianapolis in January 2012 to plant Resonate Church. Before that, he had spent four years on staff at NewSpring Church in Anderson, South Carolina, under then Pastor Perry Noble. On the morning of Nov. 10, 2015, while Blackburn was away at the gym, police said his late wife was shot three times, including once in the head, during a home invasion. She succumbed to her injuries the following day along with her 13-week-old unborn daughter, Everette "Evie" Grace Blackburn. He found love again with his second wife, Kristi, less than a year later and wed at the end of 2017. After Amanda’s death, Blackburn recast the vision of Resonate Church, saying: “We're on a mission to turn Indianapolis upside-down for Jesus and we believe it is only just the beginning of our story. Our story is played out in the light of a greater Story — Jesus’ Story. Scripture tells us in Jesus’ story that Nothing is Wasted, even the most tragic of situations."